A Kayseri court has handed down prison sentences of 6 years 3 months to six shopkeepers and housewives on charges of membership in Turkey’s Gülen group, which is accused by the Turkish government of masterminding a failed coup attempt in July 2016. 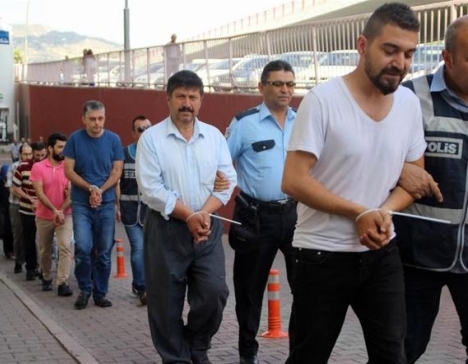 According to the CNN Turk news portal, the convicts — Fatih Aydın, Soner Özen, Murat Yavuz, Çetin Bayram, Ayşe Nurcu and Hatice Çanakçı – were found guilty for having bank accounts at Gülen-affiliated Bank Asya, which was seized by the government before the coup attempt, and for using a mobile phone application called ByLock. Turkish authorities claim that using ByLock is a sign of being a Gülenist as they see the mobile phone application as the top communication tool among the group.